In an important and historic visit Israel’s Prime Minister Benjamin Netanyahu visited Oman where he was met by Sultan Qaboos, the ruler of Oman. After Netanyahu and his delegation met and shook hands with local officials, Oman said in a joint statement that the Israeli ruler discussed the peace process and other issues of regional stability. The last important visit to Oman by an Israeli delegation took place in 1996. The 1996 visit included the signing of an agreement on the reciprocal opening of trade representative offices. “The signing ceremony took place during a visit to Oman by a Foreign Ministry delegation headed by Deputy Director-General Yoav Biran of the Division for Peace and the Middle East, and the Director of the Foreign Ministry Director-General’s Bureau, Rafael Barak. The delegation was received by Omani Foreign Minister Yusuf Bin Alawi,” Israel’s Foreign Ministry notes. Oman is increasingly an important player in the region because it serves as a kind of bridge between the region’s various alliances (Qatar-Turkey; Saudi Arabia-UAE-Egypt-Bahrain; Iran-Iraq-Syria-Hezbollah-Houthis). For instance it has enjoyed decent relations with Iran, as well as the other Gulf States and it sits on Yemen’s doorstep, so it is in a volatile area. Oman’s foreign minister was recently in Washington. where he spoke with US Defense Secretary Jim Mattis to talk about the Trump administrations Iran policy. Experts have urged Washington not to ignore Oman. “Whether it is the civil wars in Syria and Yemen, the fight against ISIS, Iranian aggression or the rift in Gulf relations, there is plenty happening in the Middle East to keep U.S. policymakers busy. However, with all the noise coming from the region, America should not ignore its relationship with the Sultanate of Oman,” writes Luke Coffey at The National Interest. “It’s a very tricky balancing act that Oman has to engage in,” says Sigurd Neubauer, of the Arab Gulf States Institute told The National in 2016. Oman has come up in recent years in various itineraries related to Israel. Japanese Foreign Minister Taro Kono visited Oman during a 2017 trip to the region. Netanyahu has also sought to emphasize Israel’s ties with other regional states, hinting at warming relations in the Gulf. He has said that Israel has the best ties it has ever had in the region. However this is not always clear amid different problems Israel has had with Turkey and also the recent decision by Jordan to end two 25 year leases that were part of the 1994 peace agreement. Netanyahu’s Oman visit seems to turn skepticism, including some I have expressed, on its head. Oman is an interesting case because it is seen as “Iran’s best friend in the Gulf.” Yet Netanyahu is an implacable foe of the Iranian regime. Neubauer wrote that the visit was “historic.” A video can be seen at this link. Local media highlighted it. It is a real “wow” moment for the region. The question is what comes next. This is a big deal for Netanyahu who has been in power for almost a decade. He is at the peak of his power. But he has generally had difficult relations with the region. Behind the scenes Israel has excellent security relations with Jordan and Egypt. But this is rarely shown in public. Discussions about how Israel has shared concerns with Saudi Arabia, the UAE and others about Iran’s threat is also behind the scenes rhetoric. Netanyahu has also had difficult relations with Turkey and its president. Therefore this high profile and public visit, although announced after he had returned, is symbolic. 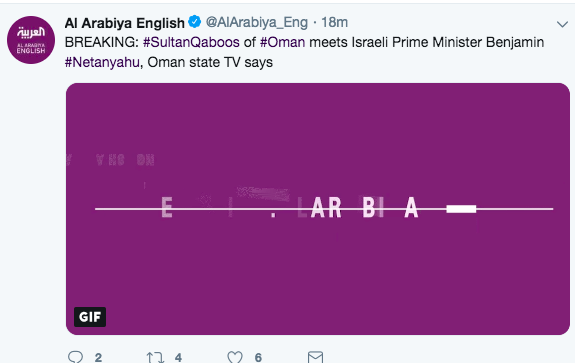 Anshel Pfeffer notes “The big story of course isn’t Netanyahu’s visit to Oman. We’ve known about these secret trips and meetings with Gulf leaders before. The big story is that they’re know confident enough to talk about it openly.” Ali Ozkok wrote that Netanyahu “cracks the Arabian Peninsula.” Charles Lister also saw the “wow” factor. “Netanyahu’s visit to Oman, and the Omanis’ willingness to make it public, is positive: a useful opening for regional dialogue and an overt sign of mostly quiet strategic convergence between Gulf states and Israel. Lots of work ahead to fully build on these gains. 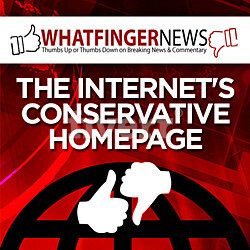 But it’s good,” wrote Dan Shapiro, former US Ambassador to Israel. What role will Oman play in a peace process? That is unclear. Oman has not historically played a major role, although as noted above it has generally been a unique bridge-nation that connects Iran, Pakistan, eastern Africa and the Gulf. It has a unique religious and cultural tradition. But Netanyahu has not generally seemed to be in favor of a new peace process with the Palestinians. Instead Israel is dealing with 31 weeks of clashes in Gaza and Egypt is trying to broker a ceasefire. Tensions are heating up with Hezbollah in Lebanon. The Netanyahu visit is breaking news in Turkish media, but so far Al-Jazeera has ignored it. Other regional media have tiptoed into the issue, with some breaking news tickers. The visit is important in terms of how the region is developing in the post-ISIS era. After the changes wrought in the region in the last twenty years, there has been a re-assertion of state power. This comes in the context of several major overriding themes. For instance there was a democratization agenda pushed by the Bush administration that also involved the invasion of Iraq. Later the Arab Spring swept away several ossifying nationalist regimes. However, extremists, most prominently ISIS, swept into the chaos and instability and sought to take over parts of Syria, Iraq, and even Libya. In addition other forces led to increasing breakdown in Yemen. The post-ISIS era and the post-Syrian civil war era is one of the major changes in the region in the last year. As the Syrian conflict becomes dominated by large states, such as Russia, Turkey and Iran, and as ISIS is reduced to a few tiny areas of control and retreats into the desert, many states are becoming more authoritarian. Whether it is the Iranian regime, Egypt, or current politics in Saudi Arabia and Turkey, the desire to increase control over society is widespread. Amid all that the Trump administration has leaned on Israel and Saudi Arabia as traditional allies. Despite talk of a peace “deal,” any peace agreement with the Palestinians and Israel seems remote. In that context Netanyahu’s visit to Oman may pay lip service to peace, but the larger picture is how the region will appear in the coming decade. Will US sanctions in November create tensions with Iran in Syria and Iraq? How will Riyadh recover its image from the Khashoggi killing? Will Qatar and the GCC patch things up?